1. What was the name of Great Britain's first settlement in North America? In 1607, Jamestown became Great Britain's first settlement in North America. Jamestown is located in Virginia, which was made a royal colony in 1624. To improve quality of life during the "Starving Time"
The Mayflower Compact of 1620 was signed while the Pilgrims were still aboard the Mayflower. It was a social contract whereby the 41 signatories agreed to abide by the rules and regulations of the new government in order to ensure civil order and their own survival. Today, historians generally agree that the Mayflower Compact influenced the Declaration of Independence and U.S. Constitution. 3. What was the primary motivator for most of the Plymouth Colony settlers? 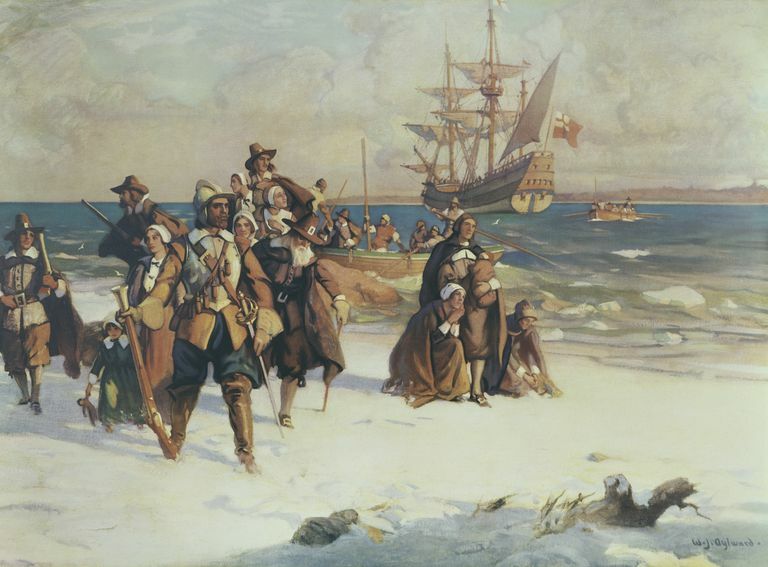 Unlike the settlers of Jamestown, who traveled to North America seeking financial profit, most of the Plymouth colonists were Puritans seeking the freedom of religion that had been denied to them by England. Great work! You clearly understand how and why early American settlements were established. Get ready to learn about the original 13 colonies.